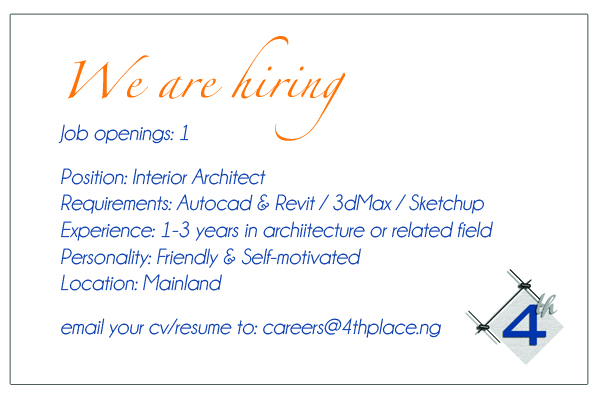 Seeking a young, driven, hard-working Interior Architect. We are a small and growing interior design company. The busier we get, the more hands we need. The personality of our co-workers is very important because we work really hard and play hard too. It’s important to strike a good balance. One or more 3d drafting softwares ie. Sketchup and Revit. Salary will be determined by applicants experience and skill. We are based in Magodo, Lagos. So it is important you live close by.